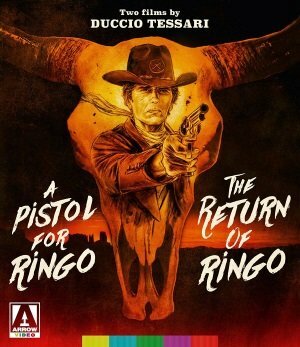 Duccio Tessari is not one of the directors known for spaghetti westerns. In fact, he only directed two in his long and successful career, both with Giuliano Gemma (billed as Montgomery Wood) playing against the mercenary expectations of the defining spaghetti western anti-hero. Both make their American home video debut as Blu-ray double feature. In A Pistol for Ringo (Italy, 1965), Gemma is a wily gunfighter known to all as Angel Face who is released from jail to infiltrate a gang of Mexican bank robbers holding a rancher’s family hostage in their manor home, which they’ve guarded like fortress. Sancho (Fernando Sancho) plays the jolly bandit king who acts like he’d prefer to let everyone live and then has his men drop anyone who gets out of line, but he isn’t shy about executing his hostages as the stand-off drags on, and he targets the lowly Mexican laborers, hardly the actions of the Robin Hood he pretends to be. 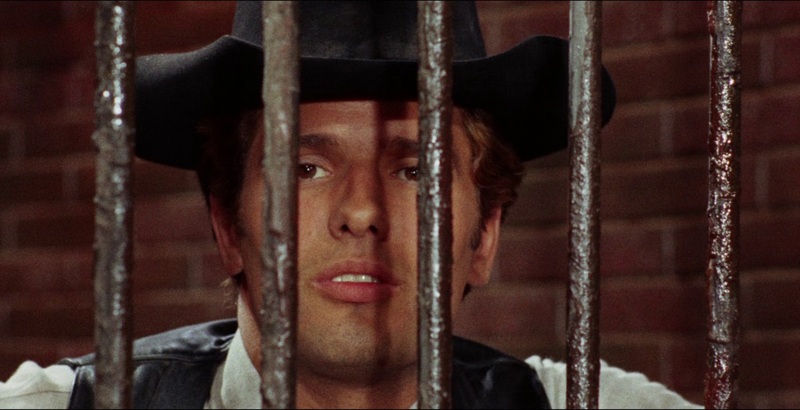 Tessario was an uncredited writer on A Fistful of Dollars and the high body count, ruthless killers, double crosses and calculated ambushes seem to be informed, if not outright inspired, by Leone’s film. But while Ringo appears to be a classic heartless mercenary bidding up his services, he turns out to be more of a lovable rogue with a soft spot for women and kids and a loyalty to the good guys.